Advanced ultrasonic vaporizing diffusion technology quietly releases a soothing fragrant mist up to 6 hours. Automatic shut off safety system when waterless protects the product from being burned out. Keep essential oil 100% natural without burning or heating and automatic shut off safely. [ADJUSTABLE MIST MODES AND FINEST MIST]:It can runs in different modes. Ultrasonic mist humidifier gives out fine and smooth mist which can humidify your living room and moisten dry skin. [SIMPLE AND RELIABLE OPERATION]:The diffuser shuts off automatically when the water/oil level is too low or time is up,which can ensures safety and peace of mind . Easy to set up and all the functions are simple to operate,even a child could figure it out. [PORTABLE DESIGN]:With unique and portable design,you can even carry it while traveling,enjoy the aromatherapy anywhere. [QUIET AND HEALTHY]:Using ultrasonic technology, quiet and does not cause any harm to the human body. Families with babies are also safe to use. 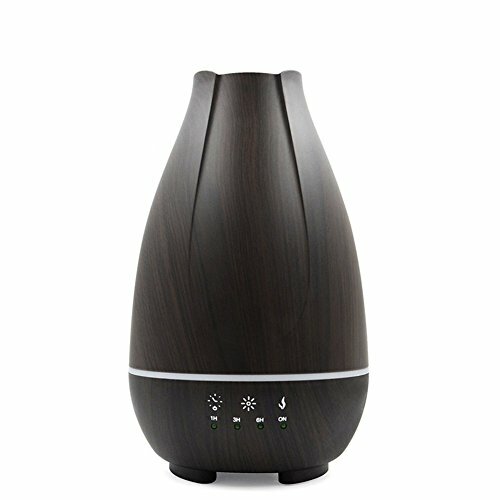 [High capacity Water Tank]: The Aromatherapy Essential Oil Diffuser can hold a large amount of water,no need to refill water frequently. If you have any questions about this product by L&X, contact us by completing and submitting the form below. If you are looking for a specif part number, please include it with your message.